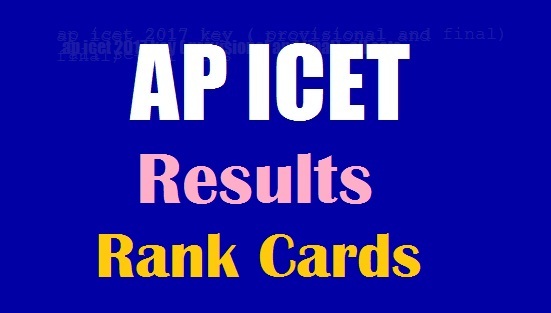 AP ICET 2018 Results,Rank cards @ sche.ap.gov.in | APICET 2018 MBA MCA Entrance Test Results: AU APICET 2018 Results, AU ICET 2018 Results, AP ICET 2018 results download, AP MCA MBA Entrance Test 2018 Results, AP ICET 2018 Results to be Released on 10th May 2018. APICET-2018 is the Integrated Common Entrance Test for admission in to MBA and MCA regular Courses offered by State Universities and Professional Colleges under the Jurisdiction of A.P State Council of Higher Education for the academic year 2018-19. The APICET-2018 will be conducted by Andhra University, Visakhapatnam on behalf of APSCHE. Sri Venkateshwara University will declare APICET-2018 result on 10th May. Check and download rank cards, score cards and section wise marks obtained on 10th May, 2018. Candidates can check their ranking position and marks from www.sche.ap.gov.in/ICET. Qualifying Marks, Ranking Process & Evaluation steps are given below. The CONVENER, APICET-2018, Andhra University, Visakhapatnam on behalf of the Andhra Pradesh State Council of Higher Education issued the AP State integrated Common Entrance Test 2018 notification in February, 2018 and the AU invited the online applications from the eligible candidates. Candidates who were applied for AP State Integrated Common Entrance Test (APICET) 2018 as per its schedule on 02-05-2018 and they were attended the entrance test.The Official Preliminary Key released by Andhra University, Visakhapatnam. Candidates can download the Results,Rank cards from here. The qualifying percentage of marks in the Entrance Test is 25% (i.e. 50 marks out of total 200 marks). However, for candidates belonging to Scheduled Castes or Scheduled Tribes,no minimum qualifying percentage of marks is prescribed. By considering the marks scored in Section-AIf the tie persists, marks obtained by a student in Section-B will be taken into consideration.If the tie still persists, the tie will be resolved by taking into account the age of the candidate giving the older candidate Priority. Rank obtained in APICET – 2018 is valid for admission into MBA/MCA Course (Full Time / Distance Mode / B.R Ambedkar AP Open University) of all A.P. State Universities and Professional Colleges in Andhra Pradesh State for the academic year 2018-2018 only. Evaluation: Every care will be taken to avoid errors in the evaluation, checking, scrutiny, tabulation and ranking. However, request for re-verification will be entertained on payment of Rs. 1,000/- by D.D. drawn in favor of the Convener, APICET – 2018 (payable at Sri Venkateshwara University, Tirupati on any Nationalized Bank), within fifteen days from the date of declaration of results. After this date no request will be entertained. The OMR answer scripts of candidates appearing the APICET-2018 will be preserved for six (6) months from the date of announcement of APICET-2018 results. The Candidates appeared for AP ICET 2018 are waiting for their results.The results of AP ICET 2018 will be released by Andhra Pradesh MHRD Minister at Vishakapatnam After results will be uploaded on its official web portals. Candidates can check their APICET 2018 results from here.